For decades there have been debates about the uniqueness of the Nazi Holocaust against the Jews. It is unique, in terms of its totality, its scale, ideology behind, speed and methods. What makes it universal is that it can be repeated. After the Holocaust, genocides still happen and even though each genocide is peculiar, it can be repeated with different victims and perpetrators. We still do not know, to what extent we learnt the lessons from the Holocaust and how can we prevent mass atrocities based on this experience. In this context, personalised stories of survivors are important in developing empathy and education. We can relate to these stories on a personal level. 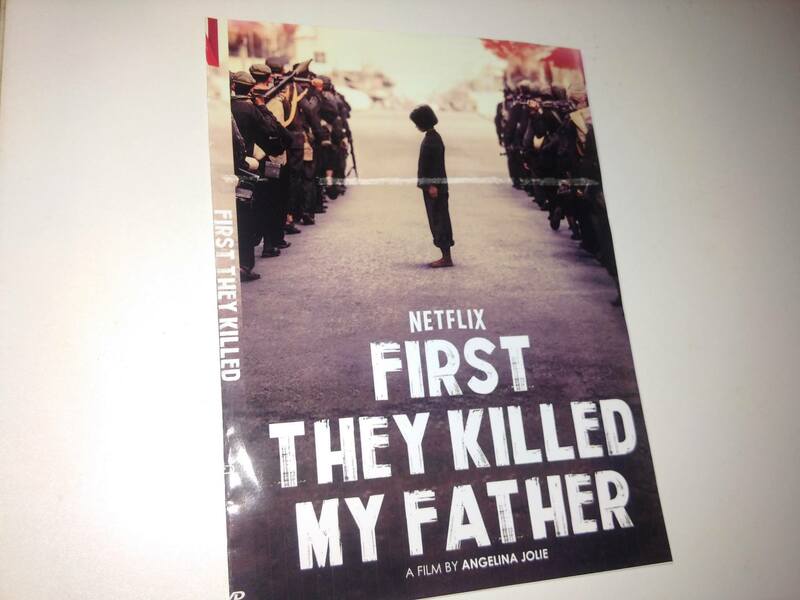 During the last two weeks in our informal ‘movie club’ we watched and discussed the documentary Amandla about the impact of music on the anti-apartheid liberation movement in South Africa and Angelina Jolie’s most recent movie “First They Killed My Father” about the Cambodian genocide. Both films, different in their genre and aesthetics, have a strong message and moved some of us to reconnect with their personal stories. Many of us come from the countries which experienced or still are under the condition of war, ethnic tensions, dictatorship and repressions and watched the movies in their own way, through their own personal experience. Angelina Jolie’s movie, distributed by Netflix, is based on a survivor’s account, the memoir of Loung Ung, then a 7-year old girl, and her book under the same title which was published in Cambodia some years ago. It is the first large-screen and significant movie about the Cambodian genocide, after the Killing Fields which was launched in 1984. It is strongly focused on emotional aspects and an empathetic understanding of what happened in Cambodia forty years ago. Behind the numbers and factual information, there is a personal story of a child who lost her parents and suffers from starvation, diseases, slave labour and harsh conditions. The movie does not aim to shock the audience with drastic scenes, though violence is present in the movie, but the depiction of violence is relatively modest by Hollywood standards and it is guided by respect to the victims. The film is made in the local, Khmer language and is available to local audiences throughout Cambodia. 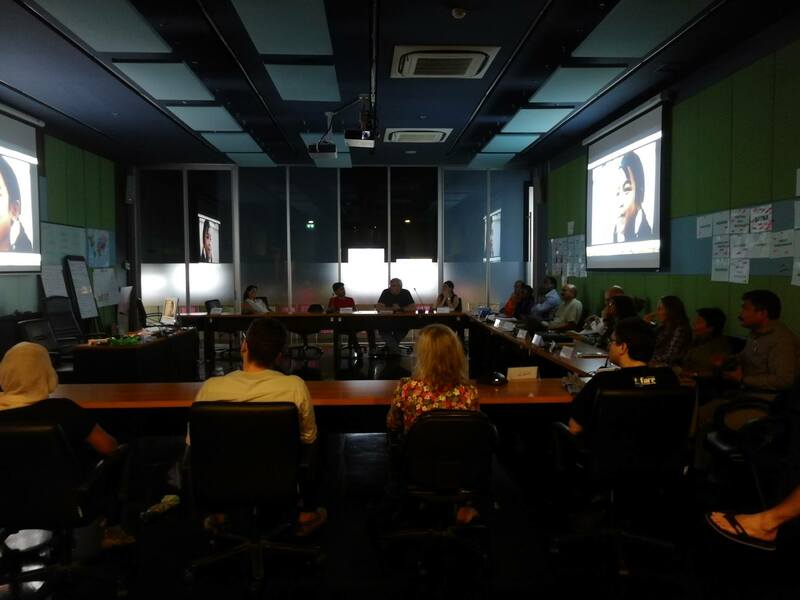 This is another significant aspect, as the traumatised Cambodian society only began to open up to the discussion about this difficult past and to the process of healing. “I was born after the Khmer Rouge genocide, one year after the Khmer Rouge, and I do not know so much about that time. Everything I know I learnt from my mother. Two thirds of the Cambodian population today was born after the Khmer Rouge and does not know either about that time. 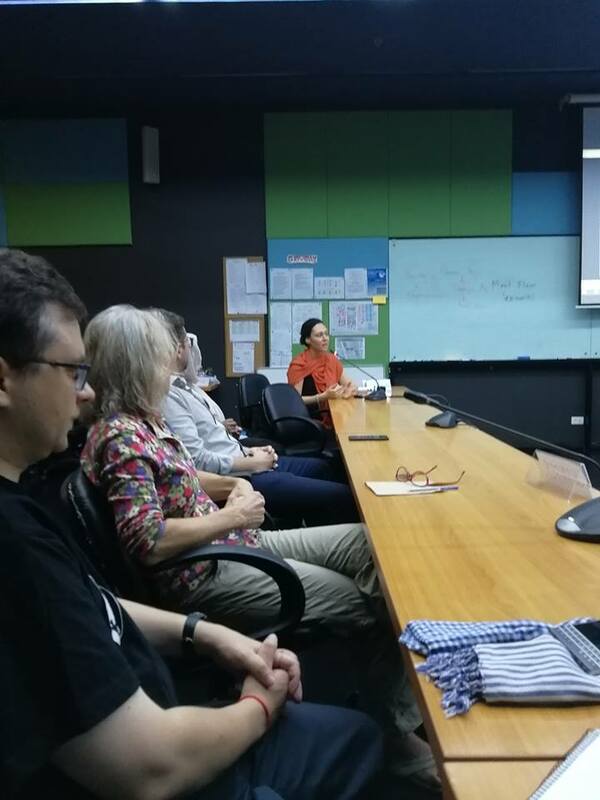 What I learnt from my mother I included into my Khmer-language novel to be published soon”, – said our Cambodian fellow, Silot Uon, after the movie. Pilar from Guatemala and Sebastian from Colombia have different backgrounds but can also relate it to their own experiences of political violence during the continuous civil wars in their countries. To sum up, the evening was meaningful, it gave us the possibility to think one more time about our own experiences and ways how to deal with difficult aspects of the past. I am grateful to everybody who joined and who made it possible. This entry was posted on August 13, 2018 by rotarypeacechula and tagged Cambodian genocide, Chulalongkorn University, Class 25, peace, Rotary Peace Fellowship.